"Historical bookends": The two forts on the San Saba river, Fort McKavette (sic) and the mid-18th-century Presidio San Sabá. 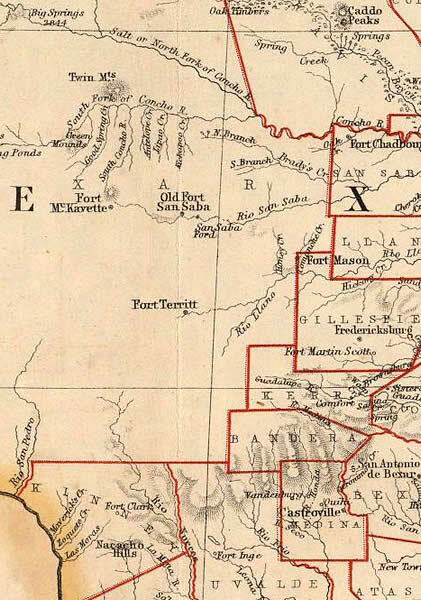 Detail of 1857 map of State of Texas by Henry Darwin Rogers and Alexander Johnston, published by Edward Stanford, London. Courtesy David Rumsey Map Collection. For complete map, see http://www.davidrumsey.com/.